Melbourne (CNN) There will, unfortunately, be no fairytale comeback for Andy Murray. Roger Federer remembers life changing kiss 03:55 Murray showed promising glimpses in Washington in the buildup to the US Open and when taking the Spaniard Fernando Verdasco to five sets in New York. However, he began 2018 by suffering a straight-set defeat to Russia's Daniil Medvedev in the second round at the Brisbane International following a spell in Philadelphia trying to make the hip better. Follow @cnnsport His first-round outing against Roberto Bautista Agut -- champion in Doha last week when the Spaniard upended Djokovic en route -- could be the last time tennis sees Murray on court. 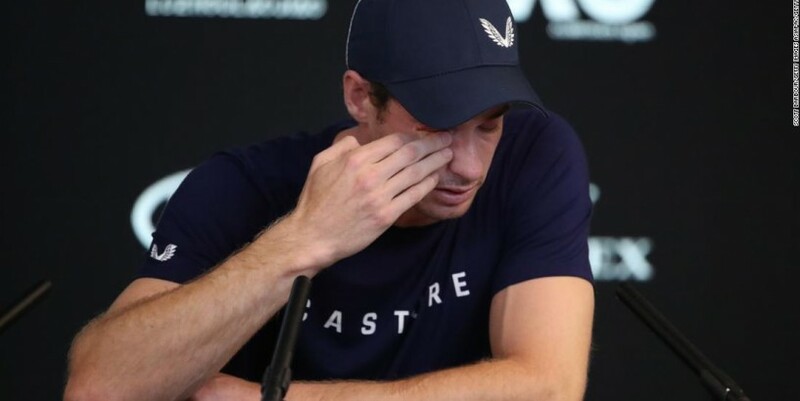 "When you search for examples of "emptied the bucket to be as good as they could be" there should be a picture of Andy Murray sitting under that Quote: ," one of Hewitt's ex coaches, Darren Cahill, said on Twitter. "Remarkable discipline for training, competition, sacrifice, perfection, a little crazy, but a legend of a bloke. Bravo Andy."